The slight but steady population growth of Ann Arbor over the last decade shows that this community continues to draw new residents. Newcomers make their homes in Ann Arbor due to the area's diverse professional, educational, and recreational attractions. Ann Arbor is located only 35 miles from the city of Detroit, yet the lushness and small town feel of Ann Arbor offers a comforting reprieve from the stress of the nearby metropolis. Although the Ann Arbor area has a bustling economy and a low unemployment rate in comparison to the rest of the state, the cost of living in this community is still below the average for the United States overall. This means that Ann Arbor residents can enjoy a comfortable way of life. In addition, Ann Arbor boasts one of the most noteworthy research institutions in the United States in the University of Michigan, which brings a great deal of talent and youth to the area. The benefits of living in Ann Arbor bring many new residents to the area. Yet some of these residents- particularly students- do not initially come to the area planning to stay. Such temporary residents tend to rent rather than buy. The economic rigor and educational opportunity of the area- in combination with the fact that home values tend to be relatively low in Ann Arbor- make this Michigan community a spot of particular interest to those looking for income properties. Income properties in Ann Arbor reliably offer decent returns to those who invest in a piece of real estate in this area. The median value for an Ann Arbor home or condo was around $230,000 in 2011. Properties in the area come in a wide variety of different sizes and architectural style, and income properties in Ann Arbor can be found in any of the neighborhoods of the city. 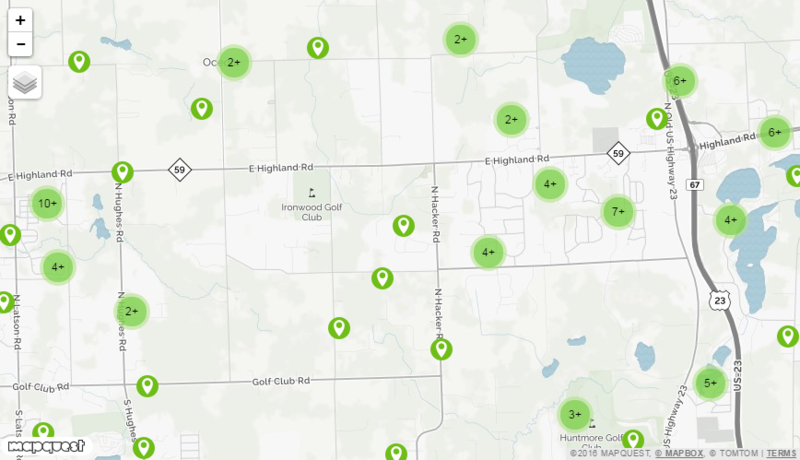 Some of the most prominent Ann Arbor neighborhoods for residential properties include Burns Park, Dicken, Eberwhite, King, Lakewood, and Northside.